Change is always scary but as they say, it is also inevitable. The decision to quit my job after four years of working in a firm and go on to pursue MBA was a tough one but I was determined to embrace the change with open arms. After days of going through different admission processes, it was decided XIMB was going to be my home for the next two years. So, with a lot of zeal and enthusiasm I entered the campus. And what welcomed me as soon as I entered was a long row of lush green trees on both sides of the road. I was happy as this was a good start to my journey. I have always been a nature lover and to see that my campus was full of greenery was a positive sign. Next, I went on to explore the rest of the campus. They say, ‘All work and no play makes Jack a dull boy’. The campus thus provides a range of facilities for the sports junkies like a huge ground (I have heard it can accommodate close to 10K people!! ), a jogging track, tennis courts, badminton court, basketball court, a jogging track, a gymnasium and indoor game facilities as well. The campus also boasts of a well-managed mess that serves close to 700 people every day, residence blocks for students and faculties and a great auditorium to host major events. Moving on to the academic blocks, the place where we are expected to spend most part of the day, I was amazed to see the infrastructure and how well the support staff works everyday to ensure that it remains like that. A huge library with so many resources to increase our knowledge pool every day is another essential feature of the campus. I believe MBA is not just about studies it’s about holistic development something that cannot be just achieved by attending classes and writing the exam, the facilities that the campus has to offer play an important role in it. I hope I can make good use of all the facilities and make my next two years count. Which Aditya Birla Group division would you want to work for, and why? 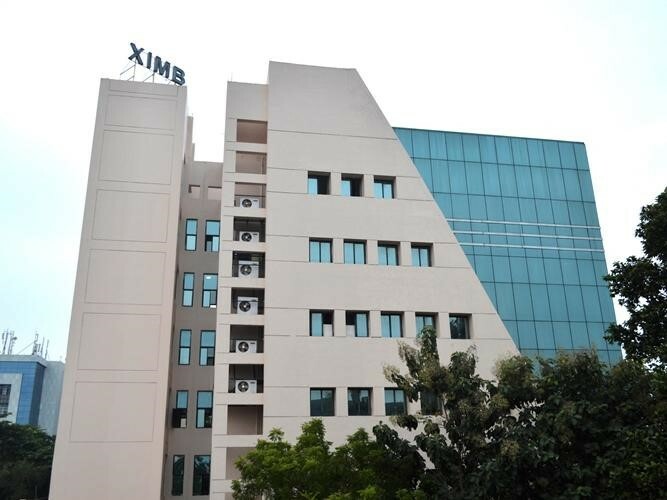 Why And How I Chose My Campus – Why XIMB?